Description: To 42 cm long. Snout to base of tail is up to 14 cm. Body is robust and higher than it is wide. 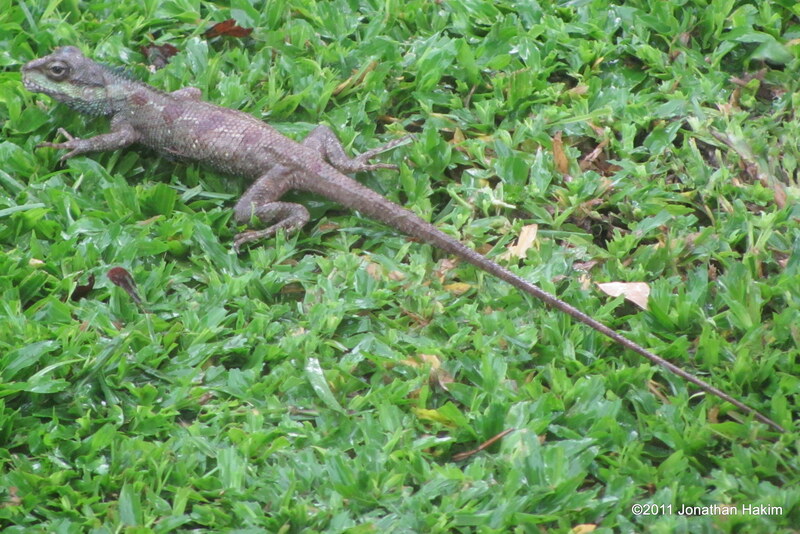 Has rough body scales and a back crest that runs from near the back of its head down to the middle of its back. 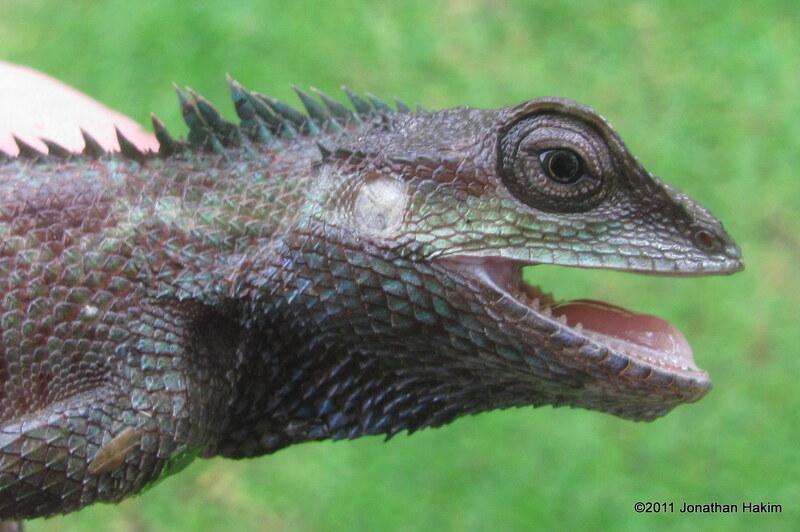 Males have a much more prominent crest than females. Background color is grey to olive with a series of 3-5 reddish spots often running down the side. Head is large. 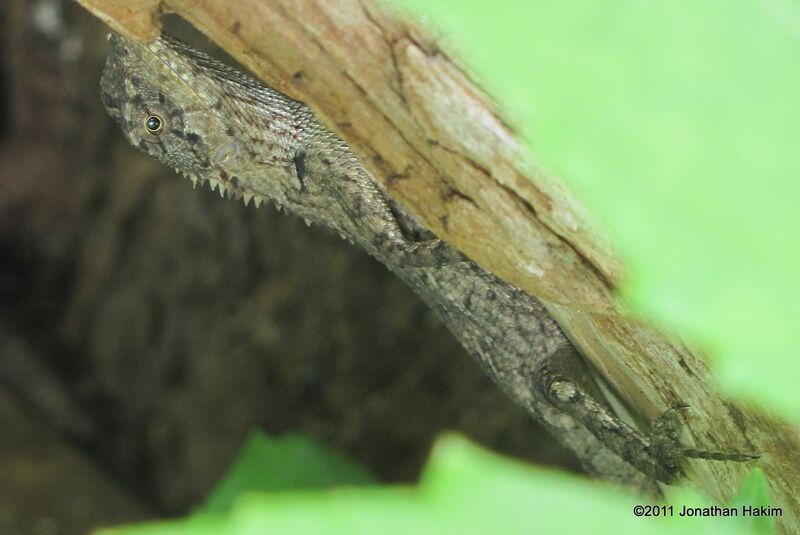 Small spines can be seen just above the outer ear. The upper lip is white. During breeding season the forebody of both males and females will turn a light electric blue. 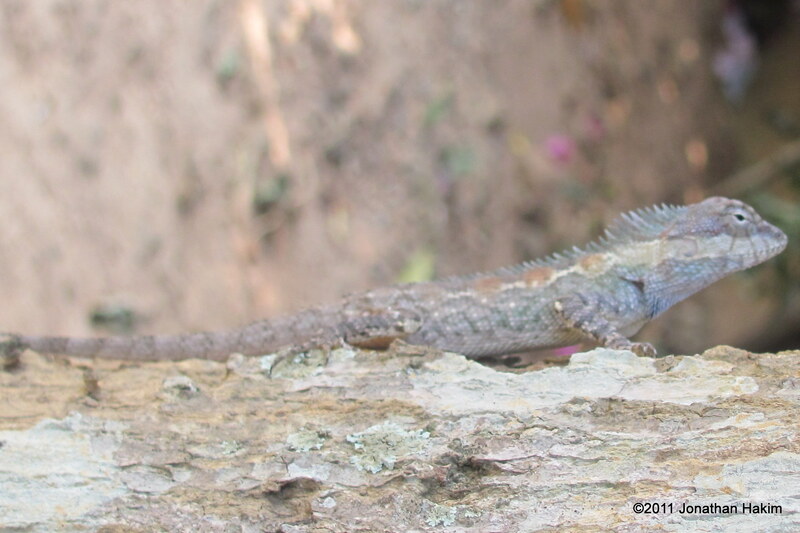 Similar Species: Oriental Garden Lizards are smaller, are typically (though not always) tan rather than olive or grey, and lack the white lip coloration. 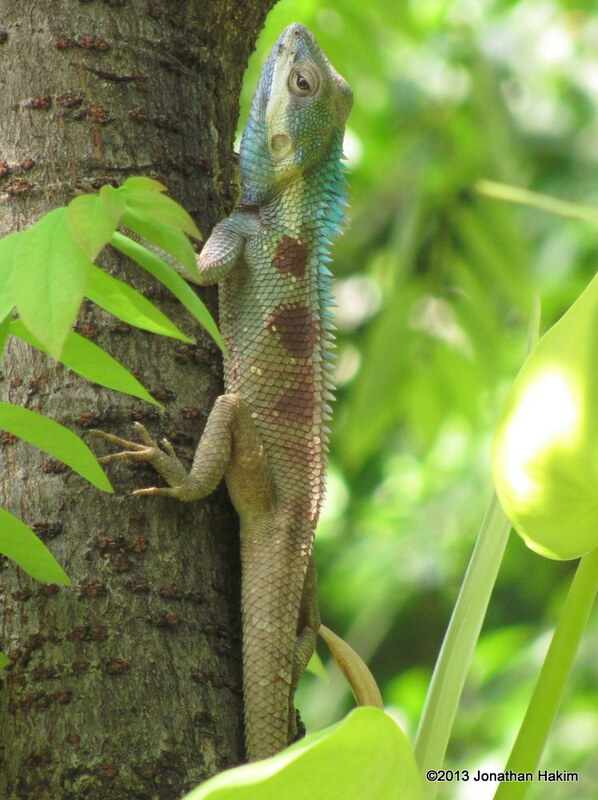 Their males turn red and the females turn yellow, rather than blue, during the breeding season. Habitat: Naturally found in forest, but appears to be able to adapt to encroachment by humans and can be found in treed neighborhoods and city parks. 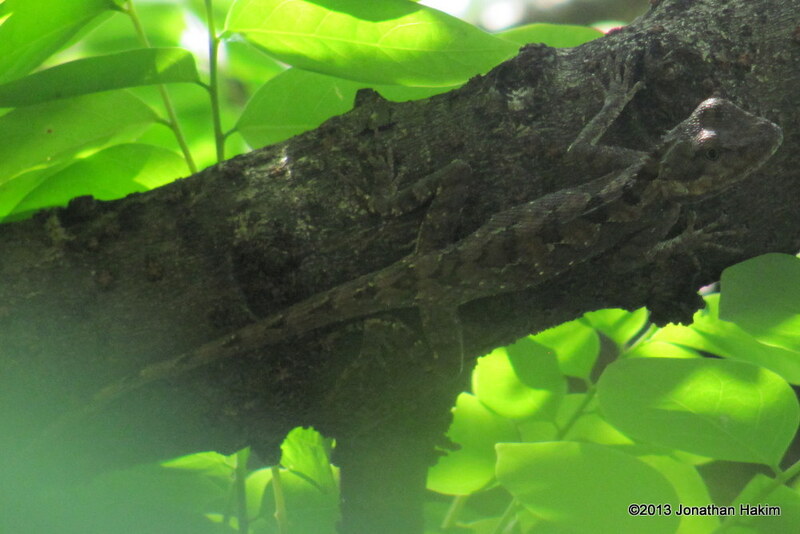 Is almost always found on tree trunks and branches well above the ground. Contribution to the ecosystem: Helps control insect populations. Provides a food source for diurnal snakes and birds of prey. 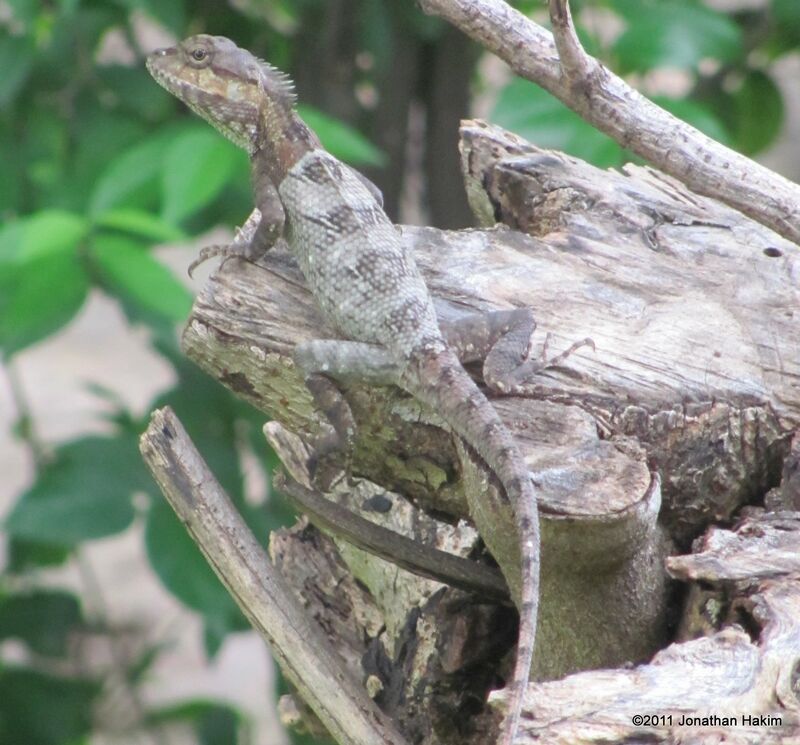 Danger to humans: The Indo-Chinese Forest Lizard can give a painful bite if handled, but is not dangerous. 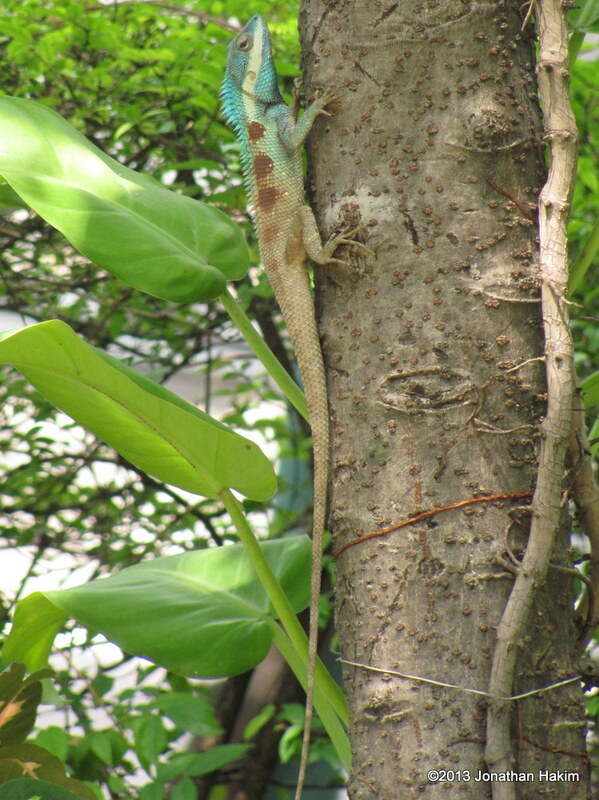 Interesting facts: The blue coloration isn’t the only extravagant aspect of mating for the Indo-Chinese Forest Lizard. 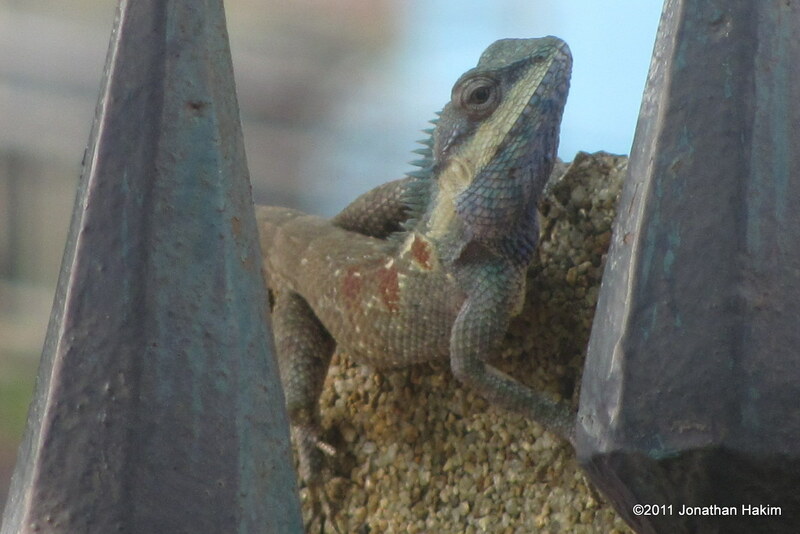 During breeding season the male lizard will approach a female face-to-face with its back arched and throat puffed out. It makes strong bowing motions and noddings of the head which appear almost comical. Eventually the female responds with the same posture and jerky bowings and noddings, and breeding commences.